Recently, I read an interesting book – The Zen of Horse Riding by Ingrid Soren. My friends were discussing a training program that they are currently doing online, about how being still and quiet, almost meditating, calms your horse. 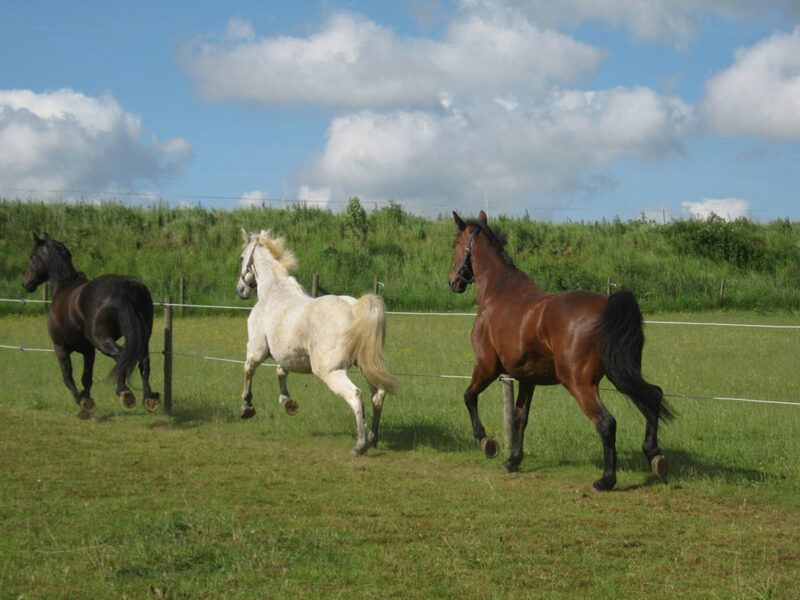 The lessons are about how to sit still and invite your horse into a calmer place, which gives your horse confidence in following and being with you. My thought was isn’t this just what every one does? You’re sitting on the back of a living, breathing, reactive prey animal – is this a time for an anxious brain? Shouldn’t we all be calm? The constant thread throughout my riding career was the manic, hot, difficult, often slightly insane horses. The ones who weren’t breakable and the ones who broke people; the throw away horses who no one wanted. The horses who were like kegs of dynamite. One particular mare comes to mind. I was just starting a schooling session on her one day, when a friend arrived. My friend sat on a jump in my arena as I cantered a 20m circle around her, she and I chatting, discussing what she had come to ask me, ignoring the horse. I went into a light seat, and just let the mare have her head, hands resting on her neck while she went through her regular motions of beginning a schooling session. After a few minutes of cantering around, my friend suddenly said, “Ummm, do you realise that the mare hasn’t had her feet on the ground, or been parallel to the floor since you got on?” She would bounce, rear, leaps, bucks, twists in a lovely, athletic, graceful way, and as long as I didn’t interfere, and stayed off her back, she would do all of this in a lovely regular, joyous way. “Yes”, I replied,” and?” After 10 minutes of this bouncing, she’d settle and school beautifully, but if you started a session by getting after her and trying to make her conform, the forget it. Schooling her, and others like her, needed a blank mind – clearing thought, breathing with intention, soft hands, sit lightly, be still. Riding these horses taught me to plan my shopping lists, run through my to do lists, write my lesson plans, because things that were dull and weren’t exciting would still our minds, thoughts, bodies. And this was just something that was done, wasn’t it? What do you mean people don’t? A good rider needs a relaxed mind. There is no getting away from it – the minute that a rider gets excited, stressed, worried, tense, the horse is going to be wondering what’s wrong…. “Come on you damn bladdy horse – settle and work, I’m getting nervous / stressed / impatient”. You think this is going to work? No. They are either going to wonder were the lion is, or they are going to get stressed about why they are in trouble. It’s interesting to watch, when a group of people do meditation or yoga in a paddock full of horses, how the horses generally walk up and see what’s going on. When they feel the group’s slow breathing, low heart rate and clear minds, they hang out, their breathing slows, they doze. We forget that as gregarious animals they depend on feeling each others heart rates to stay alive – literally. A herd of horses are grazing, most have their heads down, a few doze, one or two are on security duty. One horse is startled, their head comes up, heart rate increase, they take a deep gulp of air in preparation to RUN, and the whole herd reacts in a second. The last to react is the lion’s dinner. As a rider, if you are waiting for the plastic bag in the corner to bite your horse – guess what happens? Where as, if you are cool, calm, breathing and ignoring the plastic lion, guess what your horse is doing? I talk sometimes about talented riders not being able to teach because they say, well I don’t know how to tell you – you just sit there and the horse will become more collected / elevated / just more, what do you mean you don’t know how? It’s just something that happens… I didn’t think I was a coach who battled with this, because I do know it doesn’t just come naturally. But, this conversation was an eye opener for me…. 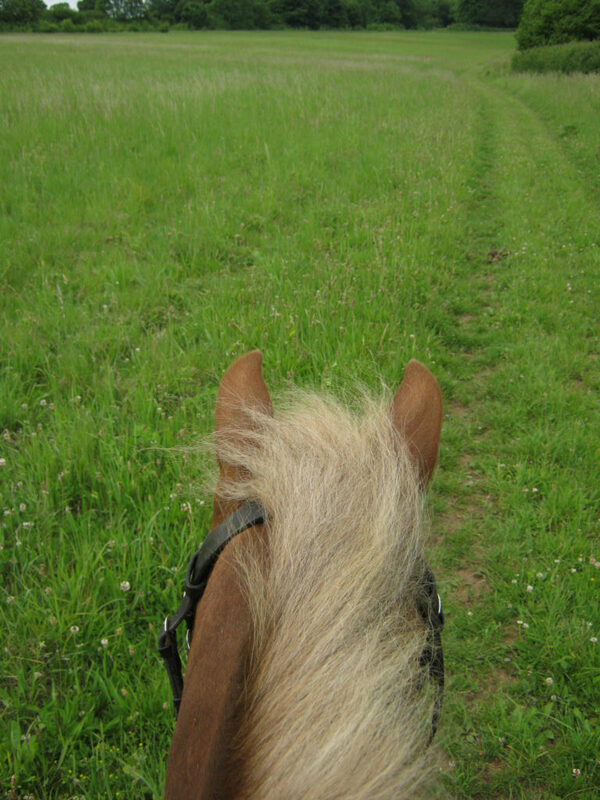 What do you mean, people don’t clear their minds, breathe and soften their edges when they ride? Do you do this naturally, or is this a skill you need to learn? ← Hang on let me ask my app….